Now more England's national cuisine than sausages and mash, Thai food (the perfect accompaniment to a cooling pint of lager), saw its inauguration in the small, independent pubs of her major cities. The Churchill Arms is said to have been one of the first pubs to serve this spicy cuisine and has continued to offer up fantastic, authentic very reasonably priced, Thai food in extremely attractive surroundings every since. Overflowing with hanging baskets on the outside this is one of the prettiest pubs in London. The drinking section is very much a traditional boozer dripping with knickknacks, ranging from chamber pots to hat boxes and photos of the great Winston Churchill himself, and dotted with open fires throughout. The conservatory, where food is served, couldn't be more of a contrast. Bright, light and packed to the ceiling with greenery it offers a cooling, fresh backdrop for the tongue-tingling, spice-filled dishes. It gets very busy here - especially at weekends - and they don't take bookings on a Sunday, so you may have to wait in the bar for a table. Once you are seated your slot is limited to a few hours - lingering over coffee is not really the done thing here. However, being nudged off your table is no great hardship at the Churchill. Just head across to the bar for a digestif and make the most of the pubs two contrasting spaces. PS - they pull a mean pint of Guinness too. Hanging baskets, curry in the conservatory, open fires, glass ceilings and wooden beams. The best pubs near London The Churchill Arms. The Churchill Arms clubs, bars, cabaret nights, casinos and interesting nightlife. 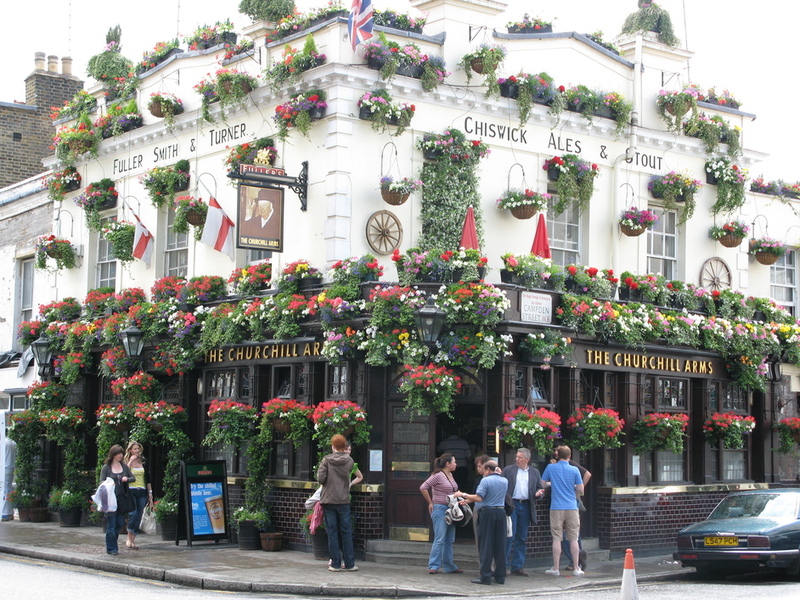 What are the best dining options near The Churchill Arms London? The Churchill Arms gyms, sporting activities, health & beauty and fitness. Where to have your meeting, conference, exhibition, private dining or training course near The Churchill Arms. From cheap budget places to stay to luxury 5 star suites see our discounts for The Churchill Arms hotels, including The Abbey Court Notting Hill from 68% off.